Financial services firms constantly have to fight financial crimes, prevent and respond to cyber threats and ensure compliance with evolving regulations. Doing this requires a database that can quickly and easily find relationships between data points — and Neo4j does just that. 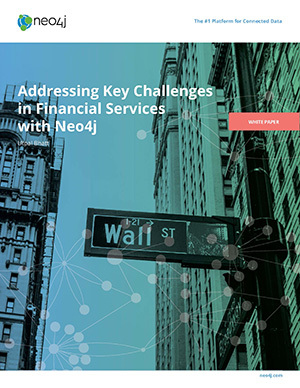 Fill out the form to download Addressing Key Challenges in Financial Services with Neo4j.